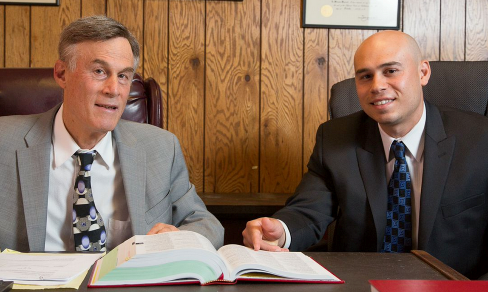 Call Newark's Trusted Car Accident Attorney for a FREE Consultation. Why is it important to hire an expert Newark Slip and Fall Lawyer? The Law Office of Fredrick Schreck filed a slip and fall law suit and settled the client's case for $825,000 due to the negligence of property owners regarding a client that suffered a fractured ankle when he fell down stairs. The client was forced to undergo several surgeries and walk with a cane for the rest of his life. A slip and fall injury is a serious matter and can cause lifelong pain. In New Jersey there are laws in place to hold the responsible parties accountable for their negligent actions which cause slip and fall injuries. Slip and fall injuries are typically caused due to negligence of property owners. The Law Office of Fredrick Schreck have settled numerous slip and fall cases. Plaintiffs in slip and fall cases can recover for pain and suffering, lost wages, and medical expenses caused by the accident. Plaintiffs also may be entitled to future lost wages and future medical expenses. Have you had a Newark slip and fall accident? We have filed numerous slip and fall law suits and negotiated settlements for our clients who have slipped or fallen due to wet floors, ice, uneven surfaces, holes, carelessly placed objects and more. What are examples of slip and fall accidents? Additional examples of slip and fall cases are negligence of snow removal and failure to salt and sand, (by a condominium associations, property owners, and snow removal companies), steps without handrails, as well as steps not complying with building codes, defective sidewalks and the improper covering of a manholes. Also, property owners and condominium associations are responsible for keeping their premises safe for invitees and tenants. There are numerous situations in which property owners can be held negligent. If you have suffered a slip and fall injury, contact our office for a free consultation regarding your case. At the Law Firm of Fredrick Schreck, our highly competent Slip and Fall attorneys will fight for your rights and ensure that you will receive a fair settlement for your Slip and Fall case. "For the past 30 years, Schreck Slip and Fall Lawyers have been assisting injury victims get fairly compensated for their pain and suffering. Proven history will aid your recovery and get you the maximum settlement."